Last week Nissan . The twin-turbo, 600 hp 3.8-liter V6 remains unchanged, but there are other improvements such as additional chassis bracing and revised shock absorbers. 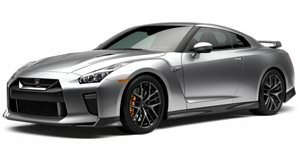 , the GT-R Nismo received a styling refresh inside and out, the latter bringing with it a number of aero improvements. We were already , and the updated car, in our opinion, looks even better. More than likely, this will be the last major (and so far only) update the R35 GT-R will receive before it's retired.